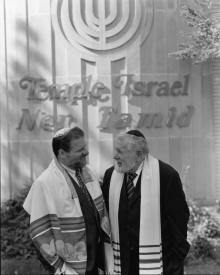 In July 1996, I came to the synagogue for my first day of work. 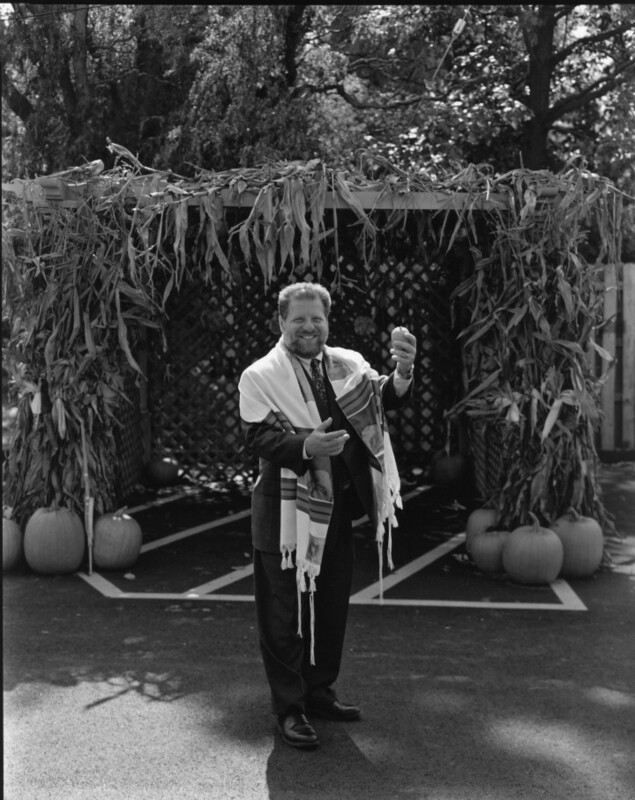 My father (Rabbi Frederick Eisenberg) handed me the synagogue keys and said, “I’m going down to the boat. Call me if you need me. If you don’t call, that’s okay, too.” We have been blessed with a wonderful working relationship and many good boat rides. As a child, I played shortstop, but never with an etrog. Succot is a joyous time to thank God for our blessings. We are free to celebrate as Jews in this wonderful community and blessed country. Thank you, God, for Your many blessings and that I did not drop the etrog. the nation's few father-son rabbi teams.